Bohurt gambeson mark I. MEDIEVAL MARKET - SPES. SALE: Last products in stock! Note: We send the product right after the money is transferred to our bank account. 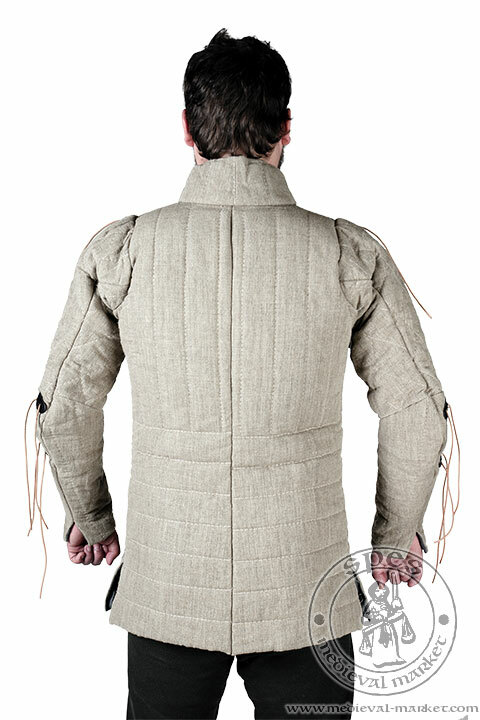 This gambeson was designed keeping in mind the needs of competitors in the group tournaments (bohurts) who care most about their safety without lack of mobility. 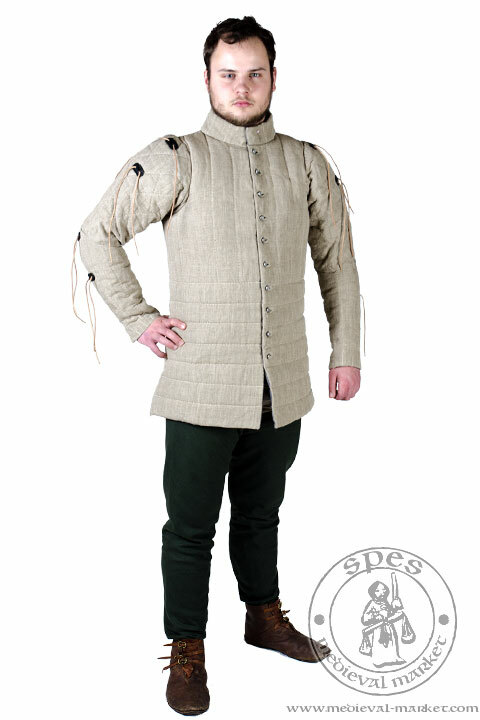 This gambeson gives great protection and amortisation especially for the body parts which are most exposed to injury such as neck, backbone, shoulders, and hips. It is perfect for using it in bohurt fights as well as in individual tournaments. 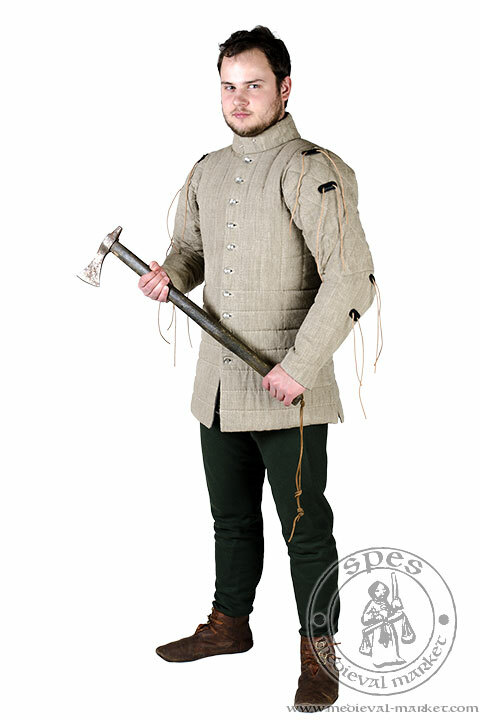 Thanks to this gambeson, you may significantly reduce the risk of getting injured. This gambeson is fully compatible with other products from HMB line. 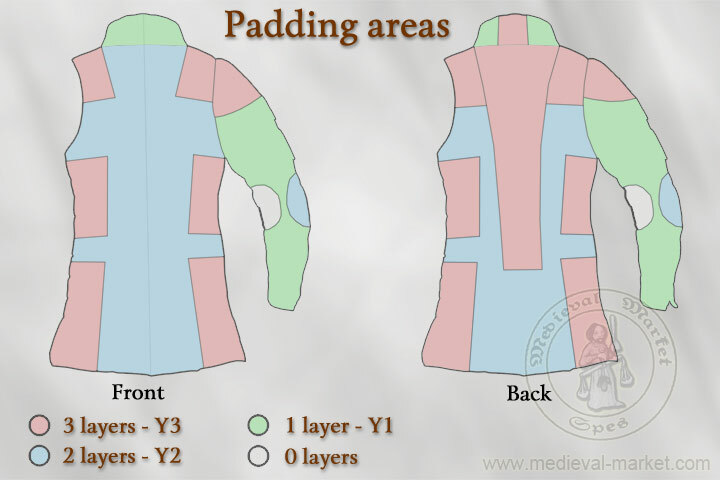 The gambeson has a collar and over-the-crotch long. To improve the mobility, the sleeve consists of two elements connected over the elbow and has a gusset under the armpit. Thanks to this design, the sleeve is better adapted to the anatomical shape of the arm. 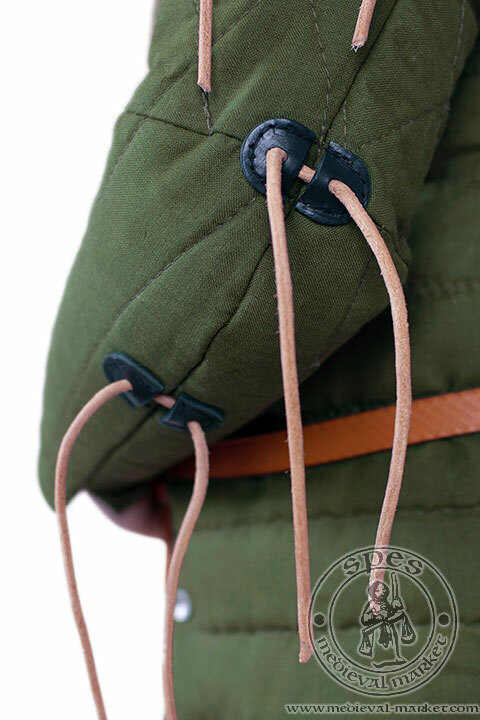 Wrist slits make it easier to put the gambeson on or off. There are also two short cuts on both sides of gambeson for better movement while walking. Construction of padding layers was designed to keep the best possible mobility, keep the weight as low as possible and to protect body part which are most exposed to hits. Layering is illustrated on the picture attached. 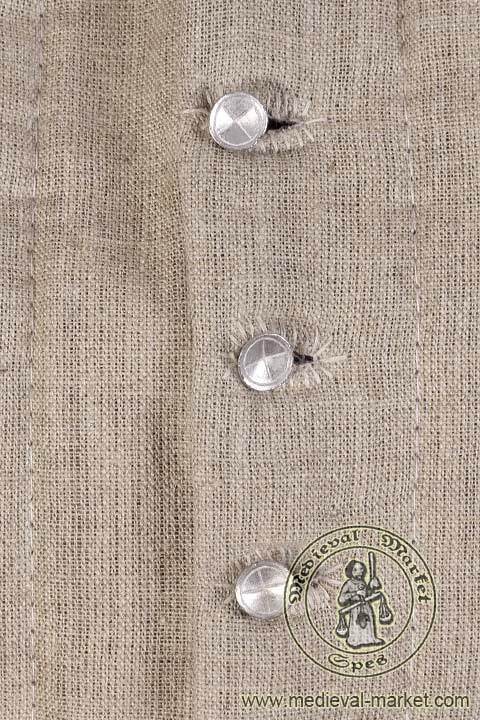 Gambeson is closed on the front with 10 pewter casted buttons. 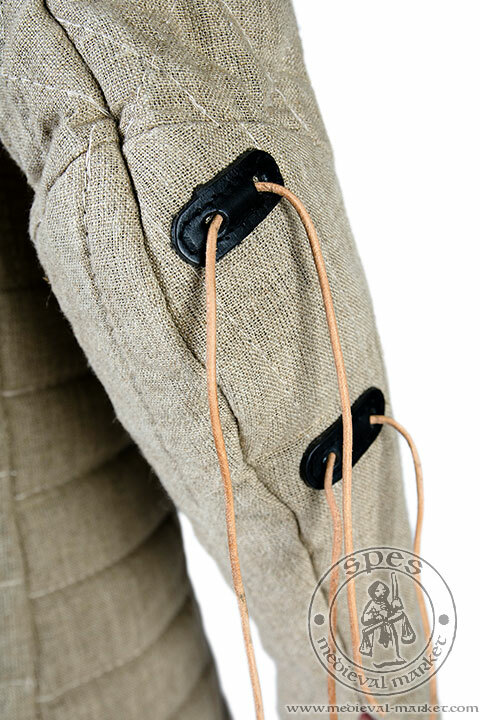 In standard option, this gambeson has bindings attached to the places where additional arm protectors are usually mounted (shoulders, arms, elbows or forearms protectors).